Russia hockey experts and fans debate their team’s performance after being knocked out of the Sochi tournament. This is the kind of narrative that often defines Russian hockey’s self-image: the lone genius singlehandedly defending the honor of the motherland on the world sporting stage. 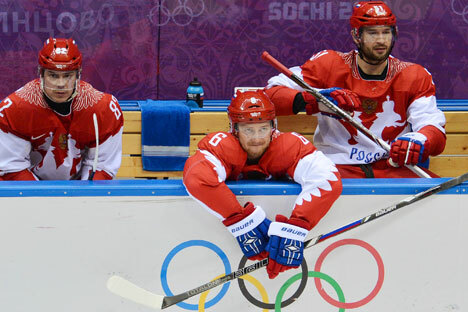 Simple rugged teamwork is undervalued, robust skaters who stifle opponents are dismissed as a necessary evil at best … and when it come to the biggest tournaments Russia’s national team is often found wanting. Like most who followed the championship, Bilyaletdinov was at a loss to understand how players like Ovechkin went from terrorizing NHL defenses to timidly testing goaltenders’ pads in Sochi. Ovie’s failure was the most dramatic on a team where too many big names failed to step up to the plate.